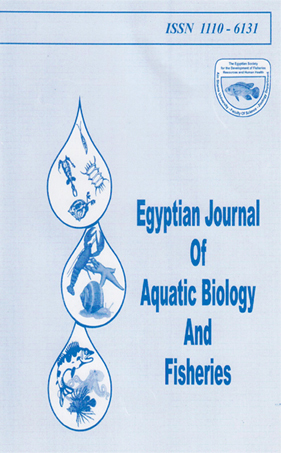 The induction of 70 kDa heat - shock protein (hsp70) in the Nile tilapia, Oreochromis niloticus, was investigated. The accumulation of hsp70 was determined in tissues of the liver, gills, spleen and heart of heat shocked fish. Other specimens were also exposed for 96 hr to four concentrations (1,0, 0.5, 0.1 and 0.001 mg/1) of Cu as copper sulphate and the accumulation of hsp70 was determined in the liver and gills. In both experiments, antibodies raised against hsp70 were employed as probes for dot-blot analysis and immunobinding assay of tilapia tissues. Decreasingly, hsp70 was abundant in the spleen, gills, heart and iiver of heat shocked fish. Also, data showed greater hsp70 level in the liver and gills of fish exposed to elevated Cu concentrations than the that of controls.These data suggest that hsp70 accumulation may hold a promise as a molecular indicator of contaminant exposure and may give an early warning of adverse biological effects. The present study indicates that the biomarker method is very easy to use, practical, rapid, and sensitive for assessing water quality in tropical water and is recommended for their incorporation into the future monitoring program.